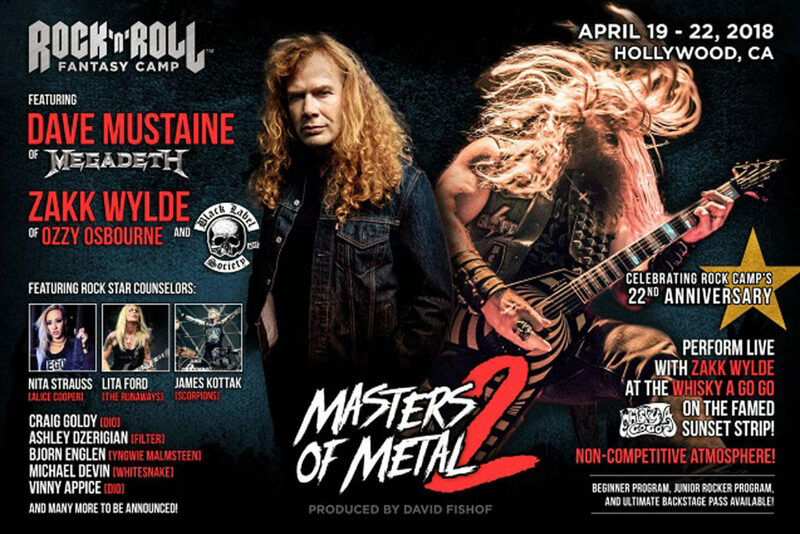 2018’s Rock ‘n’ Roll Fantasy Camp “Masters of Metal II” happens April 2018 in Los Angeles – and will feature Megadeth’s Dave Mustaine and Black Label Society’s Zakk Wylde! While Mustaine and Wylde are the featured performers, there will be 15 ‘rock star counsellors’ including Lita Ford, Vinny Appice, James Kottak and more!! If you attend, you’ll get to jam with Mustaine and Wylde during a private session and also play with Wylde onstage at the Whisky-a-Go-Go in Los Angeles with fellow campers. Want in? You need to hit up The Rock N Roll Fantasy Website!